In 1964, a woman pretending to be a nurse kidnapped an infant boy named Paul Fronczak from a Chicago hospital. Two years later, police found a boy abandoned outside a variety store in New Jersey. 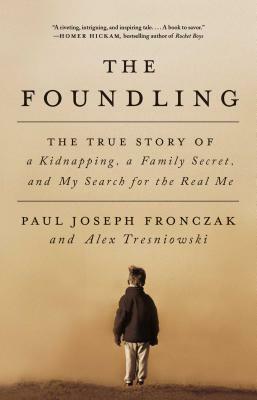 The FBI tracked down Dora Fronczak, the kidnapped infant’s mother, and she identified the abandoned boy as her son. The family spent the next fifty years believing they were whole again—but Paul was always unsure about his true identity. Then, four years ago—spurred on by the birth of his first child, Emma Faith—Paul took a DNA test. The test revealed that he was definitely not Paul Fronczak. From that moment on, Paul has been on a tireless mission to find the man whose life he’s been living—and to discover who abandoned him, and why. Poignant and inspiring, The Foundling is a story about a child lost and a faith found, about the permanence of families and the bloodlines that define you, and about the emotional toll of both losing your identity and rediscovering who you truly are.